Since the inception of human society, humans have always been fascinated with different art forms, and the body art of getting inked is one of them. The tradition of tattooing is not new rather it dates back to the era of the Egyptian Mummies (between 3351 and 3017 BCE). Earlier, western culture considered the individuals having tattoos like the ones who lived on the edge of society; however, today getting tattooed is a normal thing and widely accepted in mainstream culture. 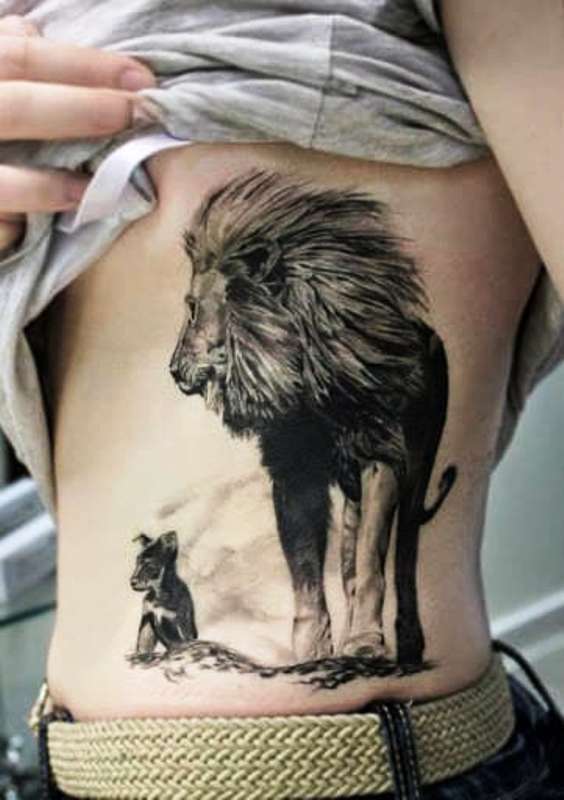 Well, when it comes to which tattoo to be get inked with, Lion Tattoos are one of the most favorites among all the age group and gender. Among all the animals, Lions are considered the most majestic ones. They symbolize power and pride. With golden manes that look both royal and intimidating, Lions reflect the meaning of royalty. 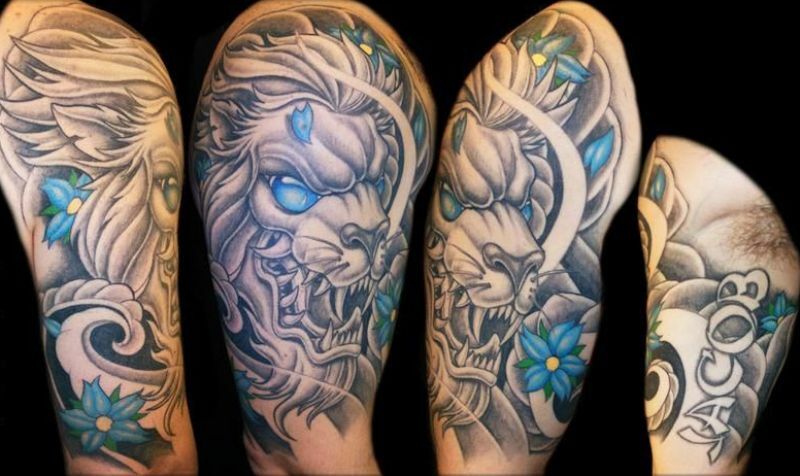 These attributes make lion tattoos a hot choice among men who wish to project an aura of masculinity. 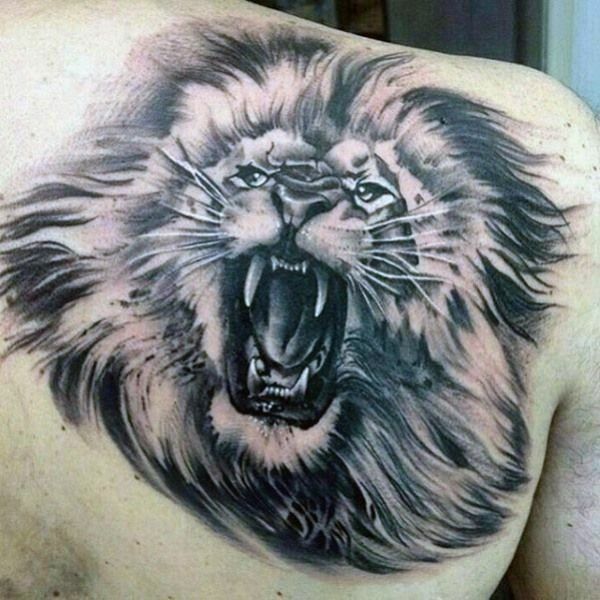 People have different reasons to get inked with a Lion Tattoo. Lions are known to be powerful and courageous creatures. 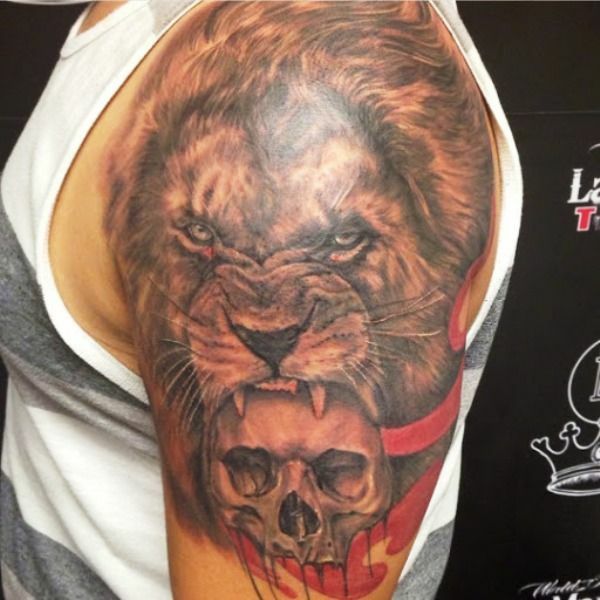 So, those who feel they have these attributes, they go after a Lion Tattoo. 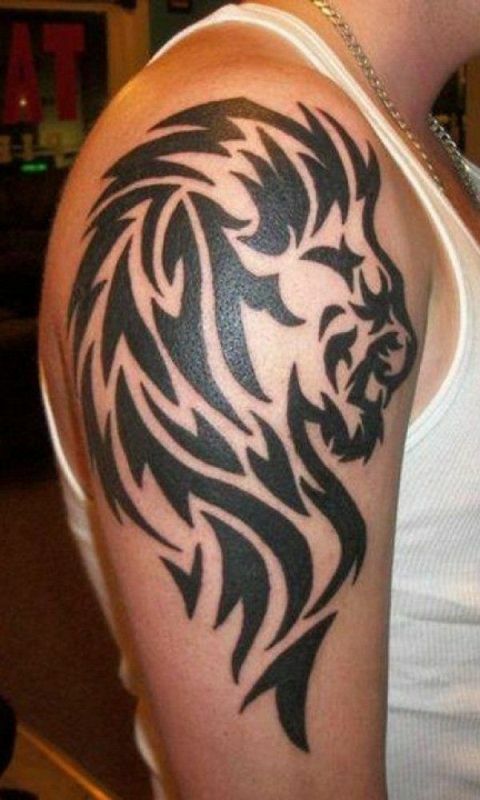 Families of some noble houses often get inked with the Lion Tattoos to reflect their solidarity; as unlike other members of the cat family, Lions mostly stick together in groups called “Pride.” Getting inked with a Lion Tattoo is also a reason for those people whose date of birth falls between July 23 and August 22, which comes under the Leo sign. Many Christians find a default reason to get inked with a Lion Tattoo; as lions also have roots in Christianity, and in The Chronicles of Narnia by C. S. Lewis, Jesus Christ is represented by Aslan, a talking lion, which is depicted as a powerful yet gentle character. 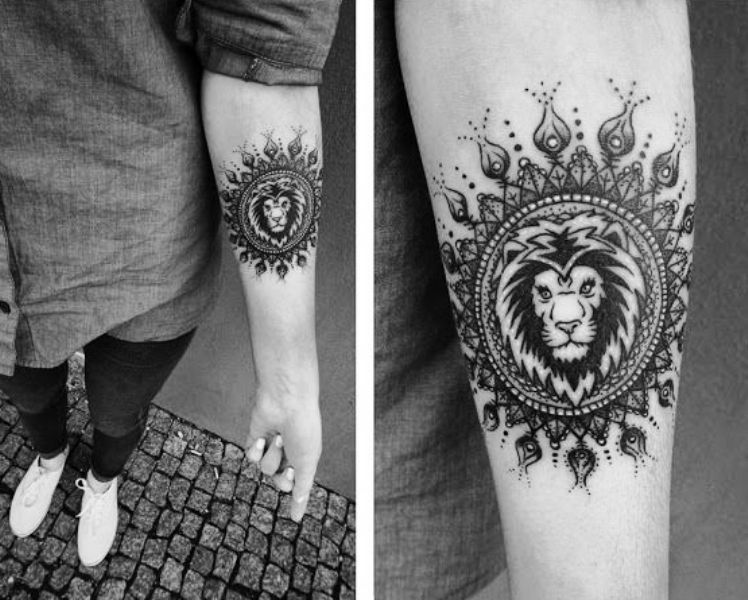 The best Lion Tattoos to get inked with should be in large pieces; because they are in details. 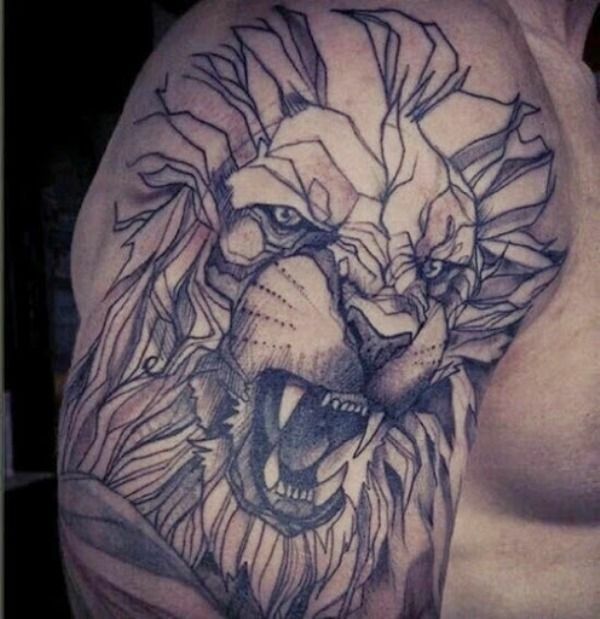 Large piece Lion Tattoos work best to be tattooed on the back, chest, or bicep. However, when it comes to design, most people simply go with the head of a lion, while others prefer the full body lion; usually standing over something with a fierce roar. 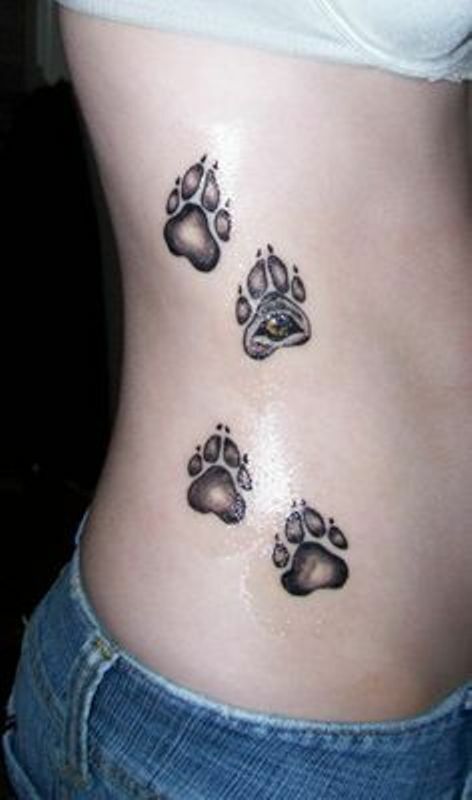 Most people prefer Lion Tattoos in black-and-gray style. 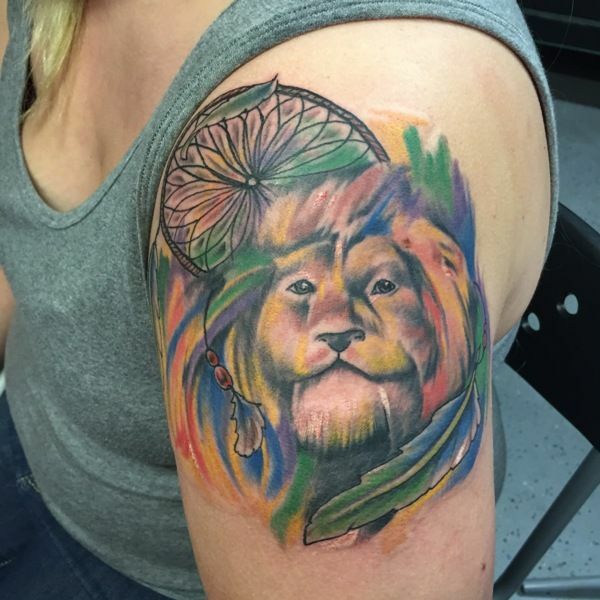 However, some Lion Tattoos look great with colors. 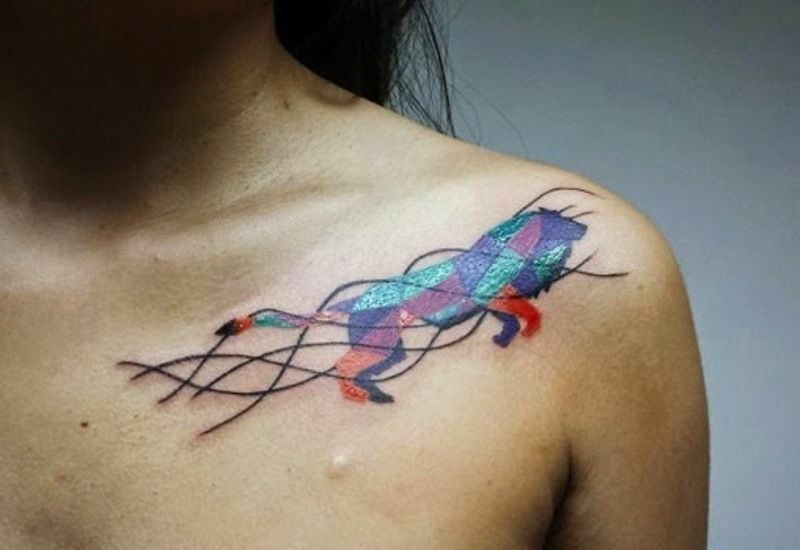 If you look for a very vivid and colorful design, you can go for a watercolor Lion Tattoo. If you really want a completely different Lion Tattoo, you can go for a Narasimha Tattoo. Narasimha is considered one of the avatars of the Hindu god Vishnu. However, you need to get prepared to explain this tattoo to onlookers; as not everyone is familiar with Hindu deities and mythologies. 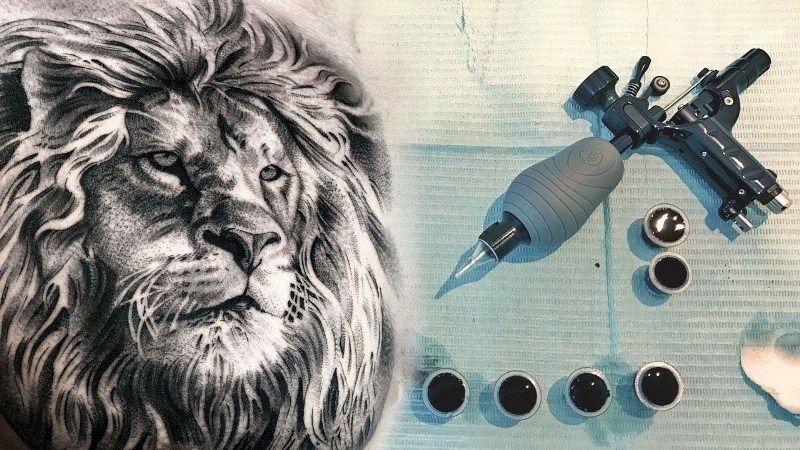 If you want to customize your Lion Tattoo, you can ask your tattoo artist for ideas; like combining a lion with another design. 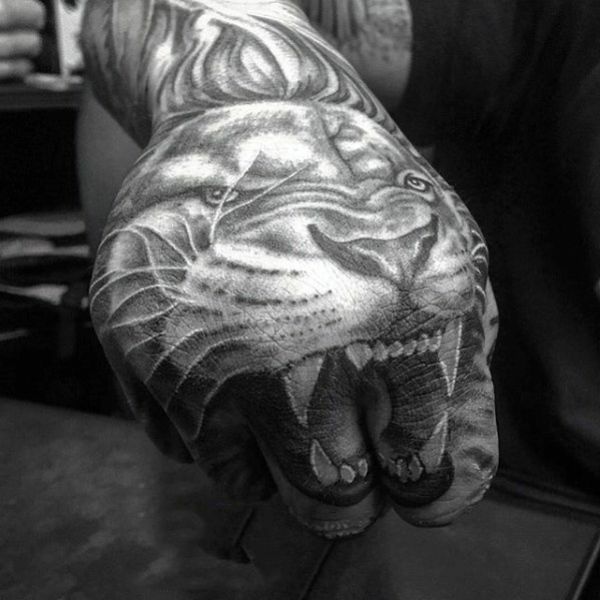 Another cool idea to get inked with a Lion Tattoo, and that too in a cheaper price tag is to go for a lion paw design. Justin Bieber is one of the most popular Canadian singers. He has a Lion Head Tattoo on his chest. Charisma Carpenter is an American actress who is best known for her role as Cordelia Chase in the popular TV series Buffy the Vampire Slayer (1997–1999) and its spin-off series Angel (1999–2004), has a lion tattoo on her left foot. Marsha Ambrosius is a popular English singer and songwriter from Liverpool, England. She has a lion portrait tattoo on her left upper arm. 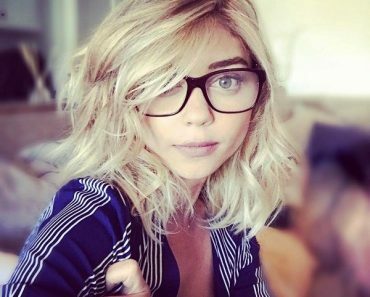 Chiara Ferragni is an Italian fashion businesswoman. She is known for her collaboration with fashion and beauty brands such as Tod’s and Pantene. 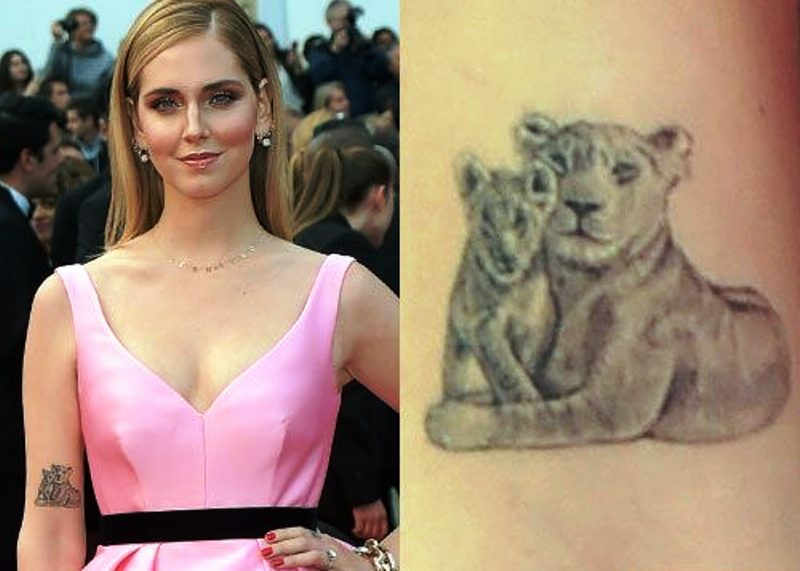 The first time when she got herself inked with a lion tattoo was in 2016 it was a male and female lion together on the back of her right arm. 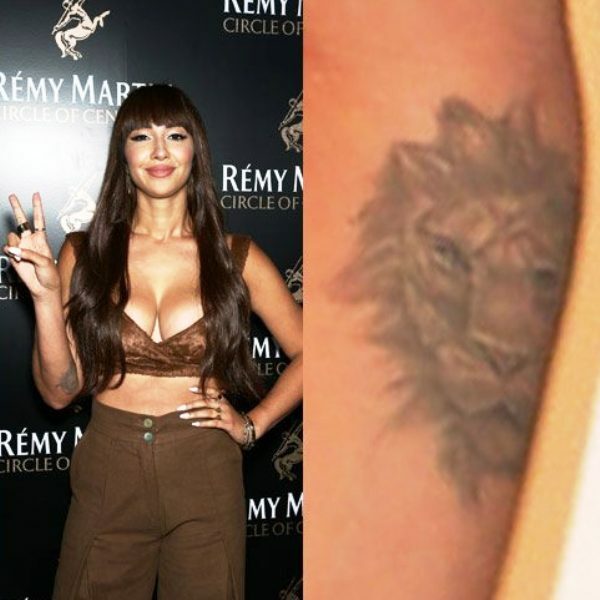 After the birth of her son, Leone, whom she named after her lion tattoo, Chiara got another lion tattoo on her upper right arm of a mother lioness with her baby lion cub. 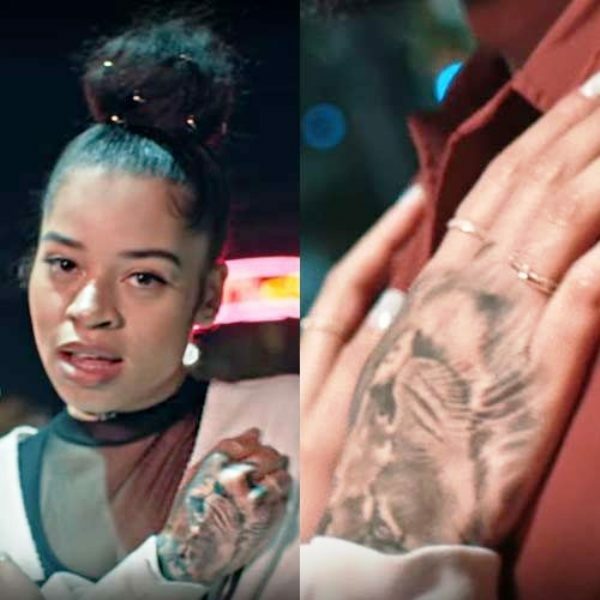 Ella Mai is an English singer and songwriter. 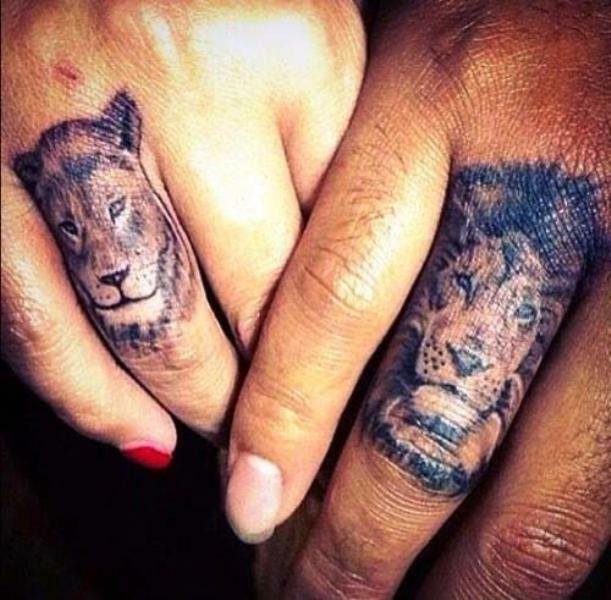 She has a lion tattoo on the top of her right hand. 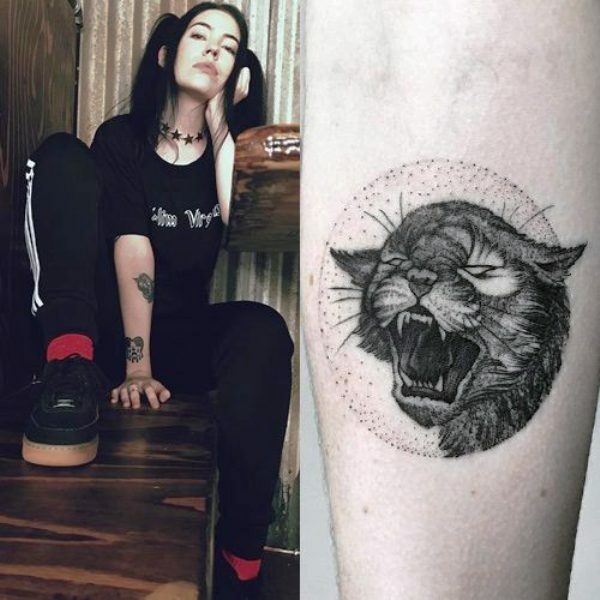 Bishop Briggs is a British musician, singer, and songwriter who is best known for her single “River.” She has a lion tattoo on her right arm. Luis Suarez is a popular Uruguayan football player. 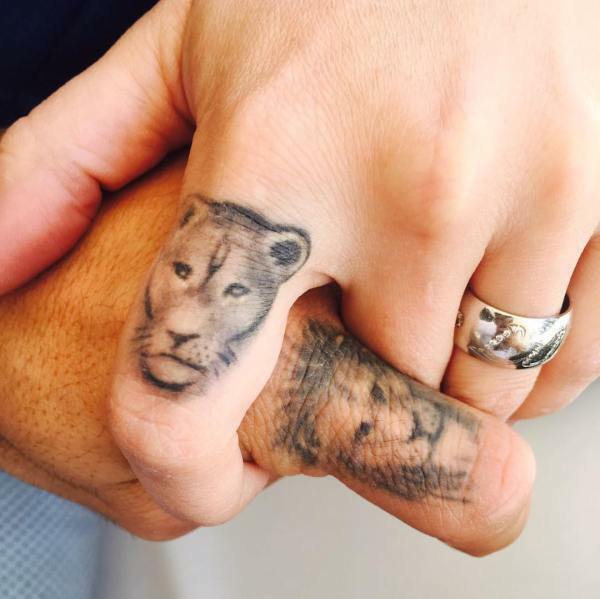 In 2016, the Barcelona striker had his index finger tattooed with the figure of a lion, while his wife and the mother of his two children, Delfina and Benjamin, did the same with a lioness. Rumer Willis is an American actress. She is best known as the eldest daughter of actors Bruce Willis and Demi Moore. 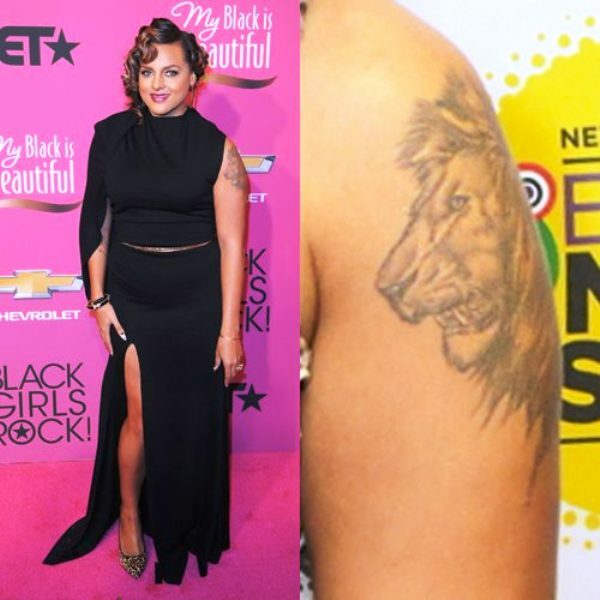 Rumer has a large lion’s face tattoo on her upper left arm. Demi Lovato is an American singer, songwriter, and actress. In August 2017, she got a tattoo of a lion’s face on the back of her left hand. 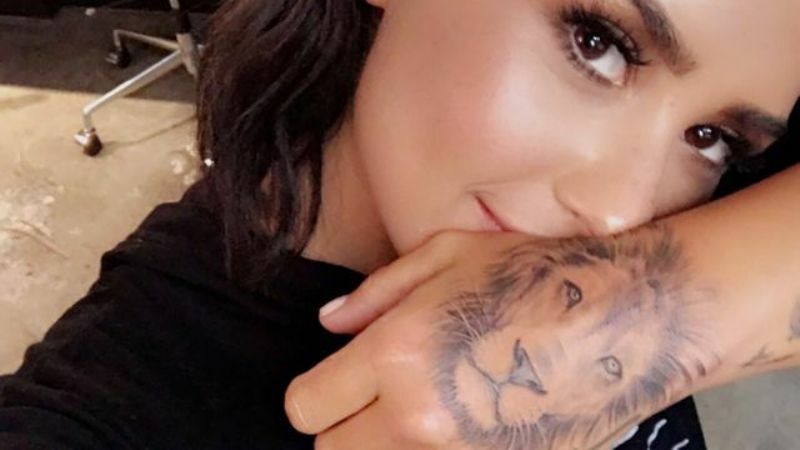 The tattoo has many meanings to her- her zodiac sign is Leo, a reference to her song “Lionheart,” and her favorite animal. Lala Kent is a reality star who rose to fame with the television show- Vanderpump Rules. She has a lion head tattoo on her right upper arm. 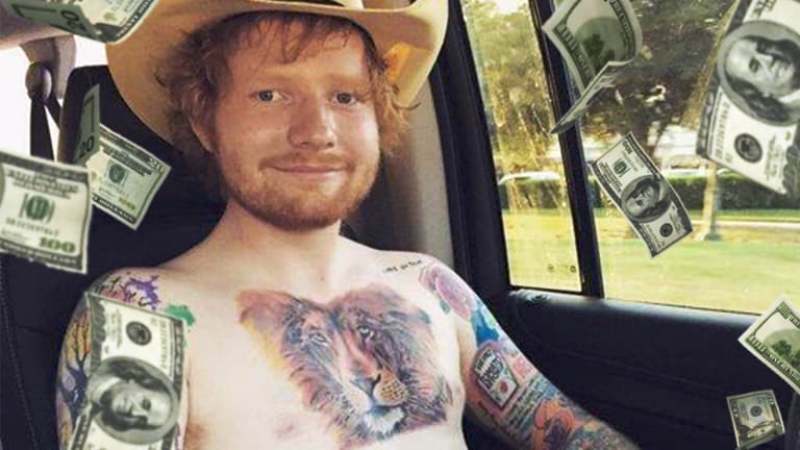 Edward Christopher Sheeran, popularly known as Ed Sheeran, is an English singer, songwriter, guitarist, record producer, and actor. He has a watercolor Lion Head Tattoo on his chest. Mena Alexandra Suvari is an American actress, fashion designer, and model. She has a Lion Head Tattoo on her back neck. Jackie Cruz is a Dominica-American actress, singer and former model. She rose to fame with her role as Marisol “Flaca” Gonzales on the Netflix original series “Orange Is the New Black.” She has a lion tattoo on her right forearm. Sara Forsberg is a Finnish singer, songwriter, YouTube personality, and television presenter. 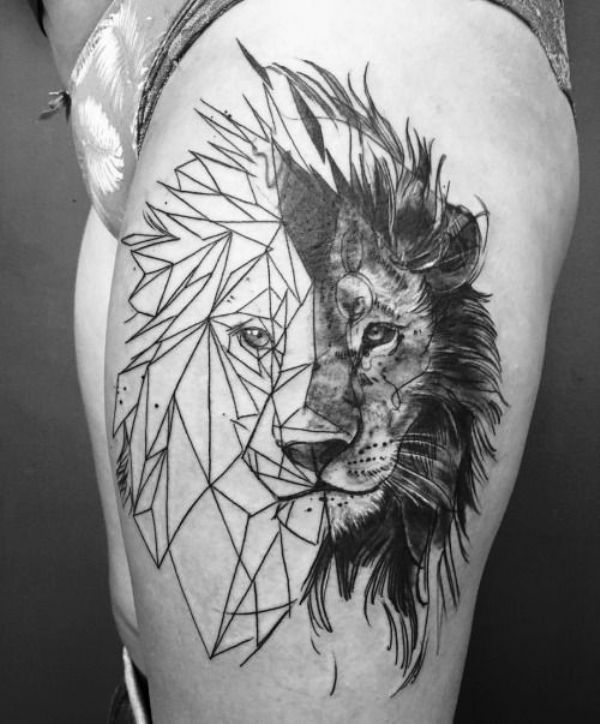 She has a geometric Lion Head Tattoo on her left arm. Bethany Cosentino is an American music artist. 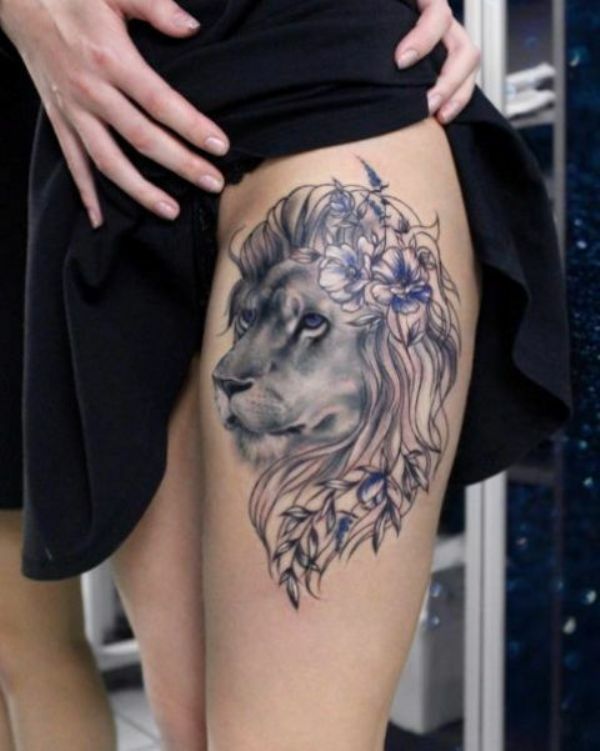 She has a Lion Head Tattoo on her right upper thigh. Taylor Jardine, best known as Tay Jardine, is an American singer and songwriter. She has a tattoo on her wrist of Simba from The Lion King. 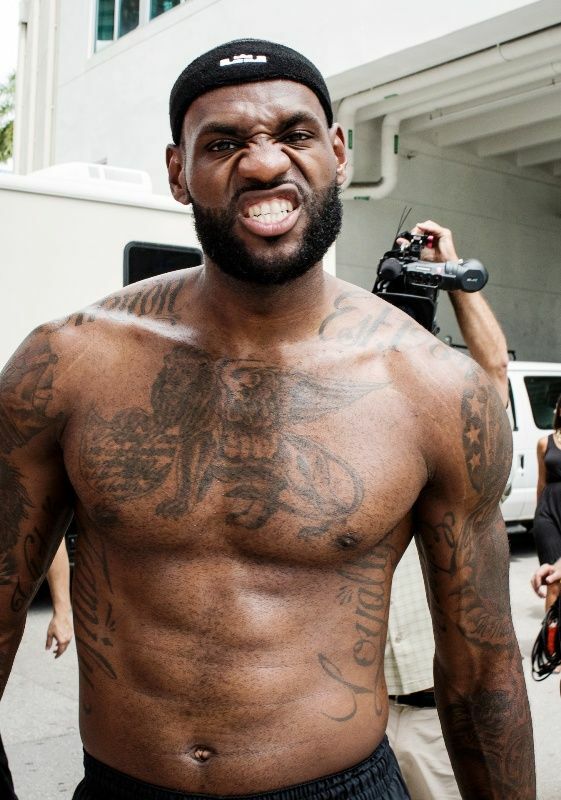 LeBron James is an American professional Basketball player. He is often considered the best Basketball player in the world. He has a Crowned Lion Tattoo on his right Bicep. 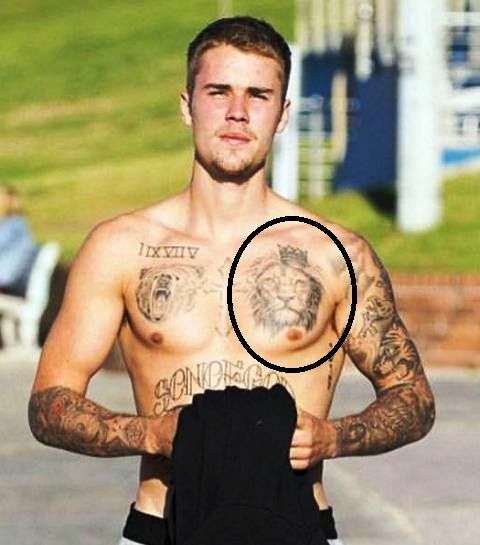 He has another lion tattoo- a huge winged lion inked on his chest. Shemar Moore is an American actor and former fashion model. He gained popularity from his role in Malcolm Winters in the Young and the Restless series. Shemar got a Lion inked on his right shoulder considering the fact that he feels he is a warrior of his own life which is the strongest part of his personality. Catt Sadler is an entertainment reporter who is best known for her work in E! News, E! News Weekend and Daily Pop. Her right bicep signifies her two sons- Austin and Arion. She already had the Pisces constellation for Austin’s zodiac sign and then added the lion to represent Arion. 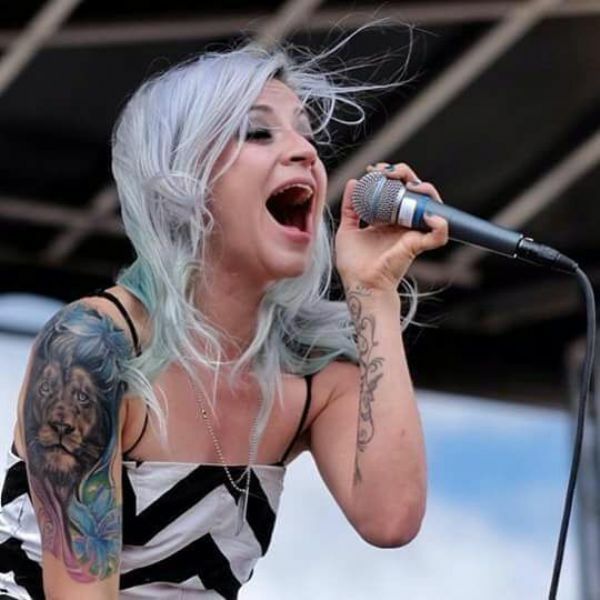 Lacey Sturm is an American singer and songwriter. She has a Lion Head Tattoo on her left shoulder. Lights Poxleitner-Bokan, also known as Lights, is a Canadian singer, songwriter, author and illustrator. She has a Lion Tattoo on her left forearm. Christine Flores, better known as Christina Milian, is an American actress, singer, and songwriter. She has a crowned lion heart tattoo on her lower back. Christina Ricci is an American actress and producer. A tattoo of Aslan the lion from The Lion, The Witch And The Wardrobe book on her upper back displays a never moving on view.